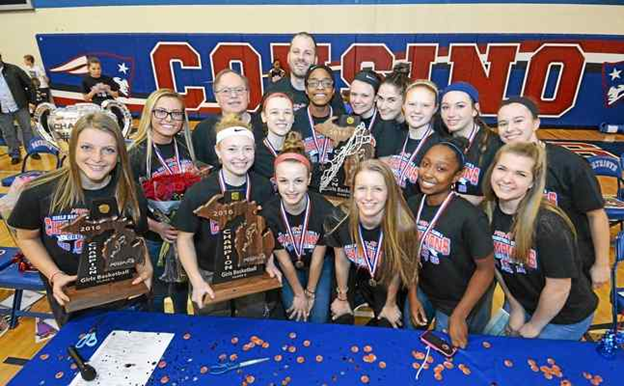 Warren Mayor Jim R. Fouts will honor the Warren Cousino High School’s Girls basketball team for winning the Class “A” State Championship. The Ceremony will take place in the Mayor’s Office located in Warren City Hall. The Patriots were the first basketball team from Warren to win the State Championship when it defeated Detroit Martin Luther King 67-65 during a match in Lansing, Michigan. The City of Warren “… is proud of this team,” said Mayor Jim Fouts in a statement. This entry was posted in Mayor. Bookmark the permalink.